COMMENTS: Waterman Ink-Vue Standard in "Emerald Ray" color, which is a stiped black and green celluloid. 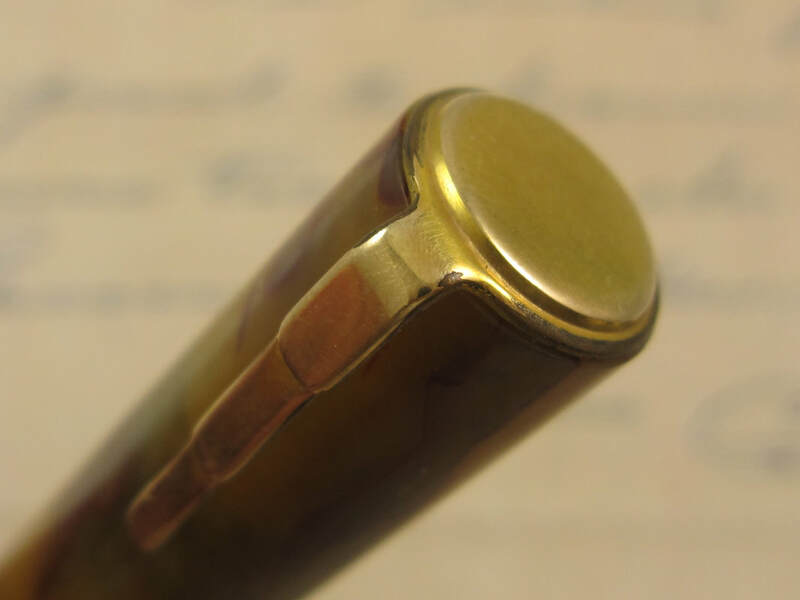 Gold trim with a gold band in art deco style by the cap lip, one slim gold band on the end of the cap, and two gold medallions on both ends of the pen. 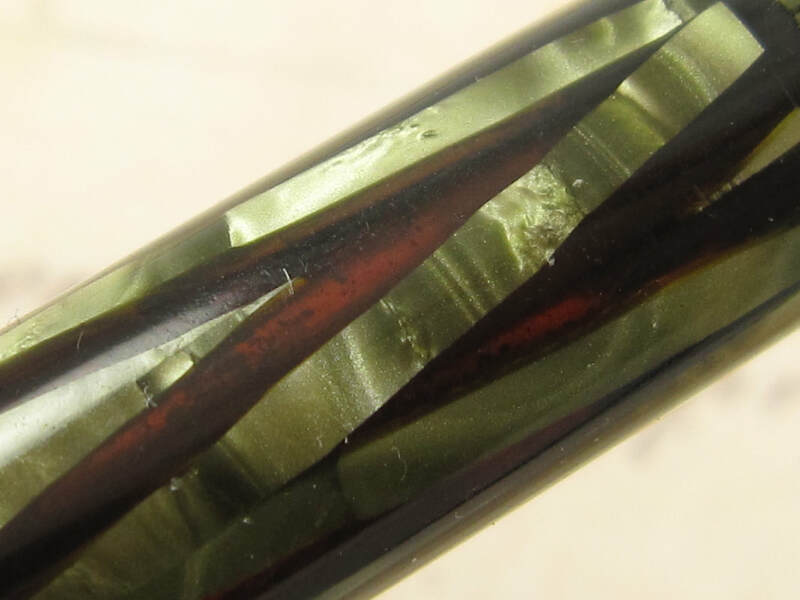 The Emerald Ray is one of the most beautiful celluloid colors offered in vintage Waterman pens. Fitted with a 14k Waterman Keyhole Ideal #5 medium flex nib (border line with a superflex nib) that writes a fine to double broad line. Professionally adjusted nib, ultra smooth and capable of writing at any speed when not flexed. 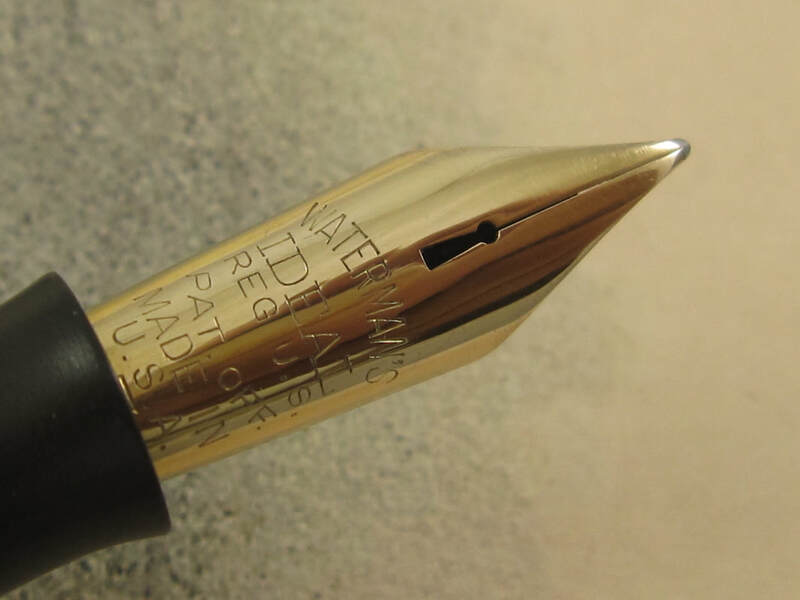 The iridium tipping in this nib has a very rounded shape, making it an ideal nib to someone new to flex nib, to someone who writes fast most of the time or to an over writer. Great imprints on the blind cap. Very high barrel transparency, allowing to see the ink level inside the pen. Celluloid color is in amazing condition and with lots of color luster. Very minor brassing, mainly in the lever. Double action lever filler, typical of Ink-Vue models. New sac. Made in USA in the 1930s. 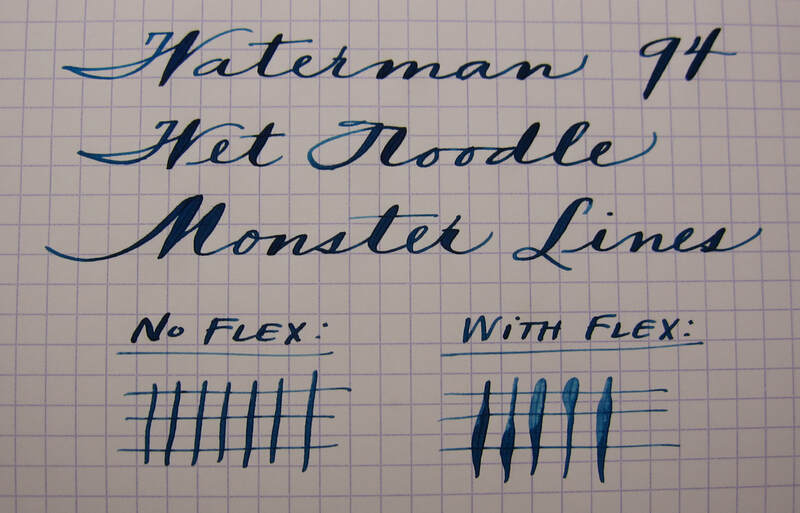 COMMENTS: Waterman Ink-Vue Standard size in "Silver Ray" celluloid and chrome trim. Black plugs on both ends of the pen. End on the cap has the "step" profile. 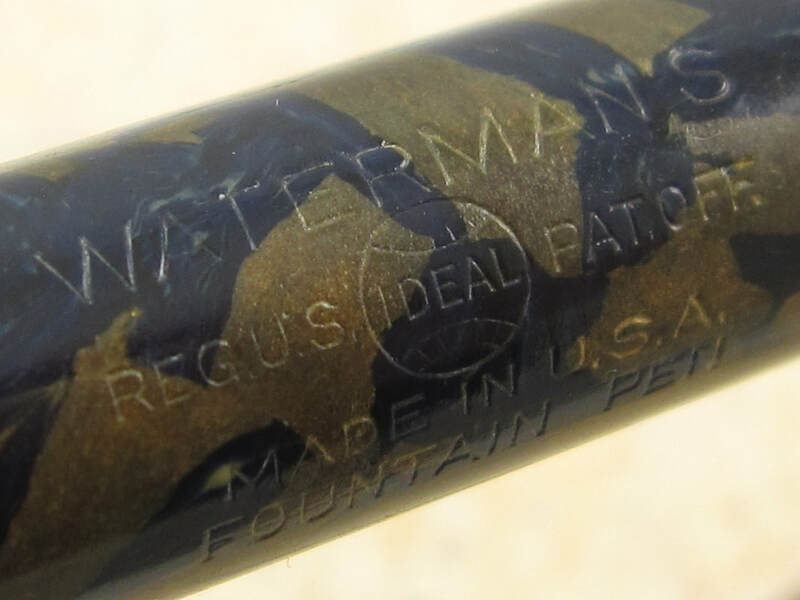 End on the barrel has the Waterman emblem. 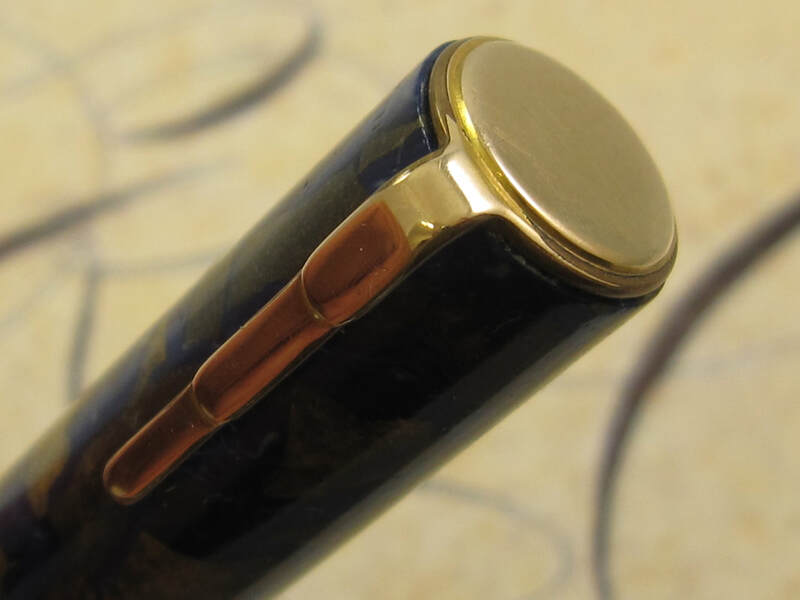 Fitted with a 14K Waterman Ideal Keyhole "Purple" nib that writes a fine. This is a rigid nib. Ultra smooth and a delight to write with. 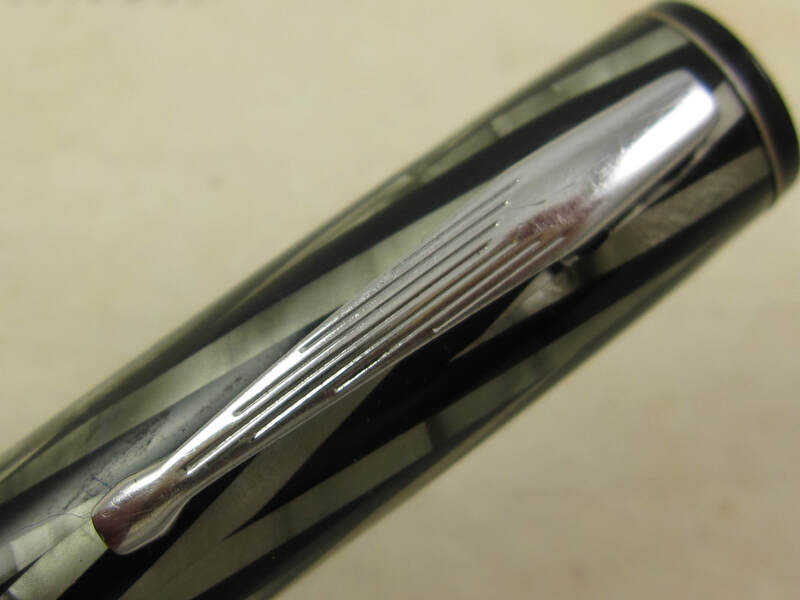 The silver ray is an extremely elegant color, and all of those "Ray" patterns are some the most beautiful celluloid colors offered by the Waterman Pen Company in the 1930s. Very good color with light scratches and strong barrel imprints. Very clean trim. A very desirable pen. Double action lever filler mechanism. New sac. Made in USA in the 1930s. 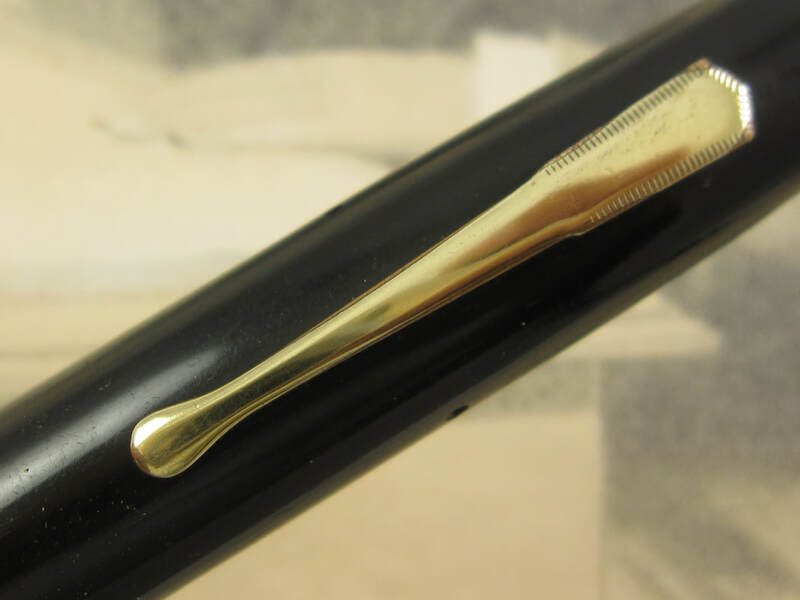 COMMENTS: Waterman 7 in Jet Black with gold trim. Wide Gold band on the cap. End of the cap that the "step" style. The Waterman 7 is an oversized pen with an oversized nib. 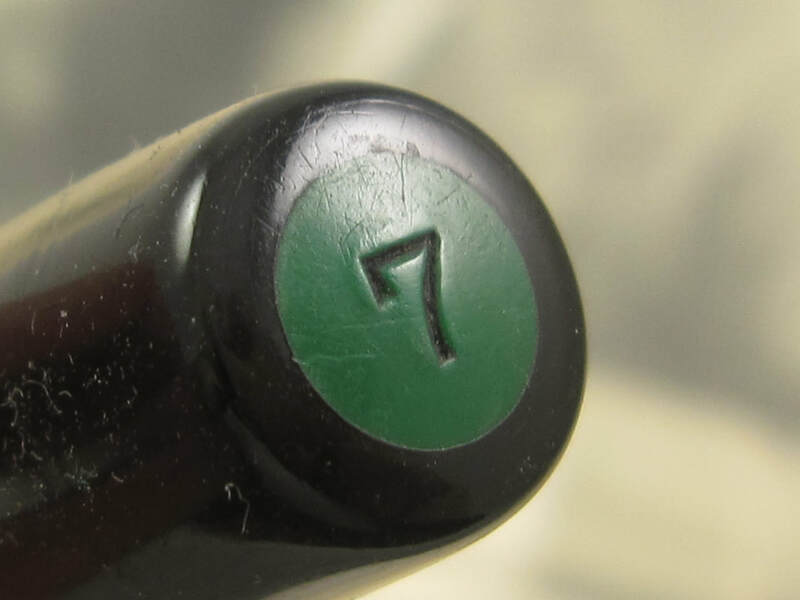 End of the barrel has the "Green" plug with its number 7 model imprint on it. 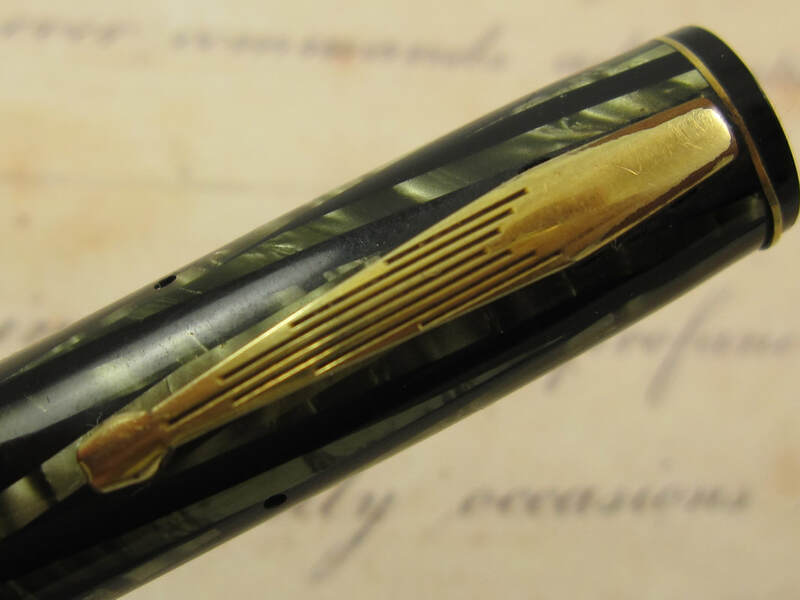 Fitted with an oversized 14K Waterman Ideal Keyhole "Green" nib that writes a medium line. 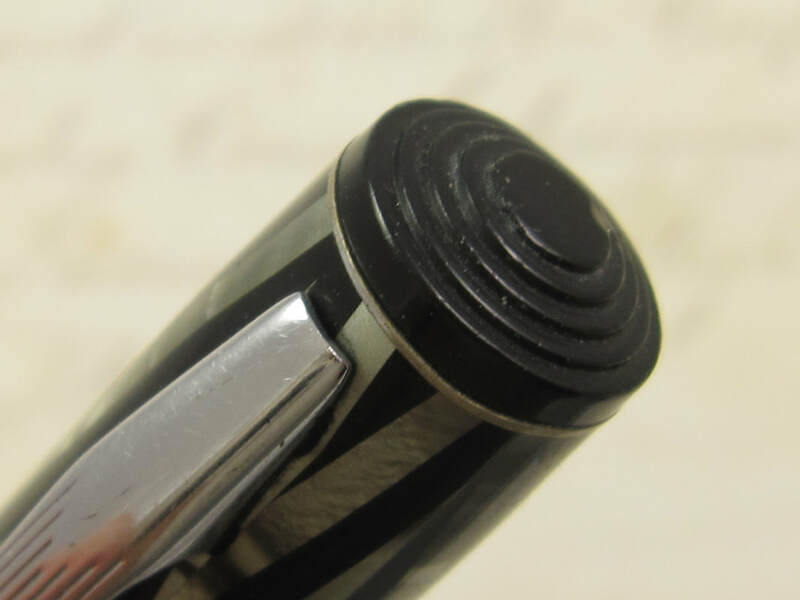 Professionally adjusted nib, ultra smooth, and with very rounded iridium tipping, making this an ideal pen to an over writer or to someone who writes extremely fast most of the time. Exterior color is in awesome condition with some light scratches. Great barrel imprints. Gold trim has some light brassing and wear, mostly in the level. "W.P. Fraley - Williamsport, PA" has been professionally engraved on the side of the barrel. Lever filler mechanism. New sac. Made in USA in the 1930s. 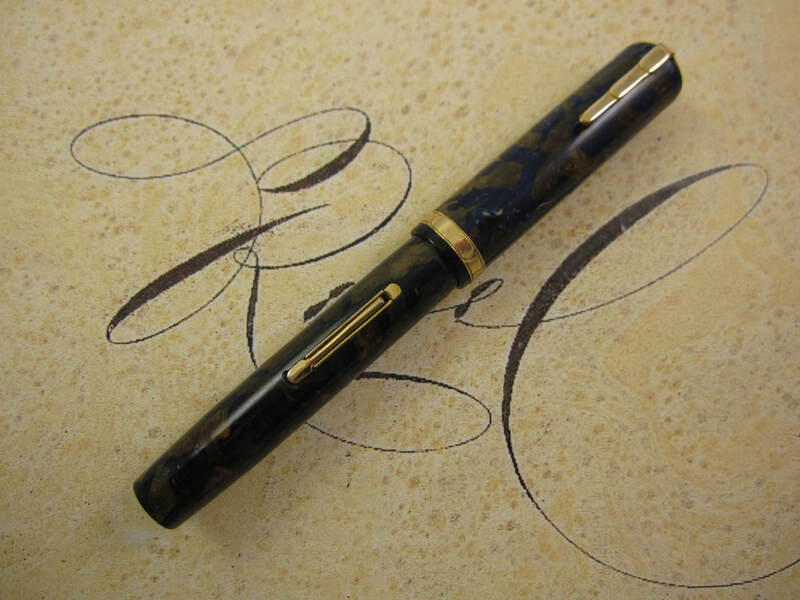 COMMENTS: Waterman 94 in smooth black chased rubber and gold trim. 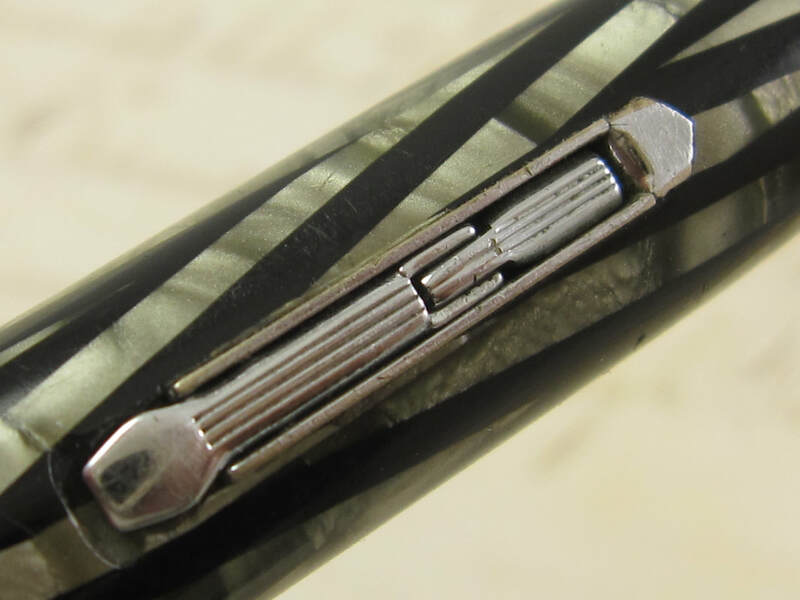 Riveted clips and black hard rubber pens were mostly made in the 1920s. The 94 model, however, was mostly produced in the 1930s. This should have been a transitional model. combining features from both decades, and makes it an uncommon pen. Fitted with a 14k Waterman Ideal #4 superflex BB stub nib. 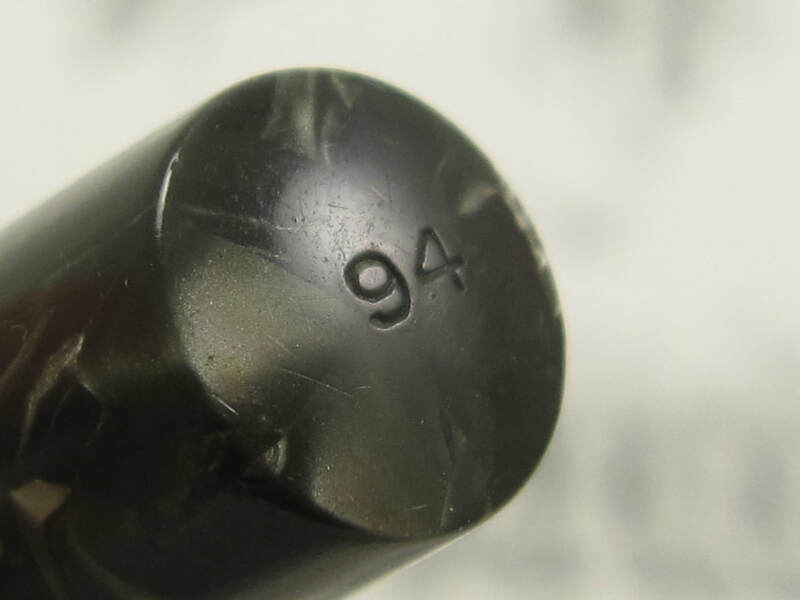 This is a factory original nib, not a modified or customized nib, making this a very desirable and valuable nib. 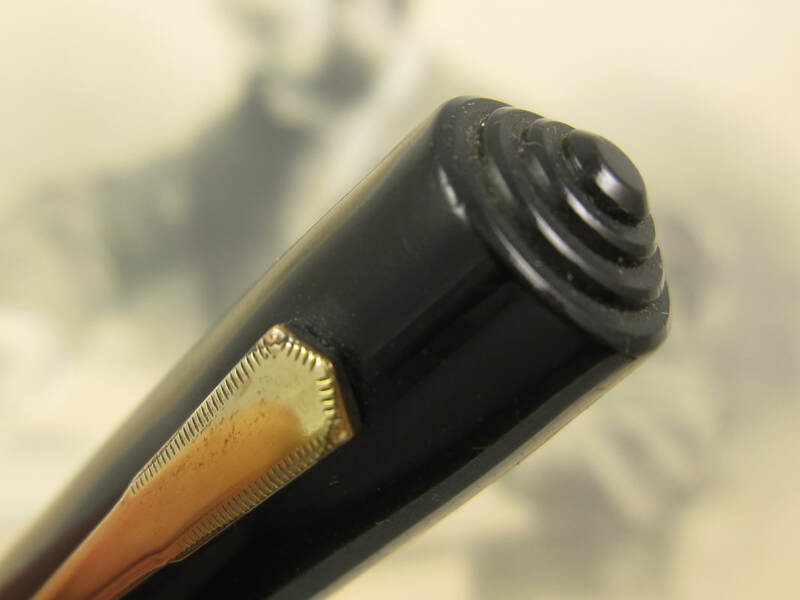 When not flexed, this nib writes double broad lines in the down strokes and fine lines in the side strokes. 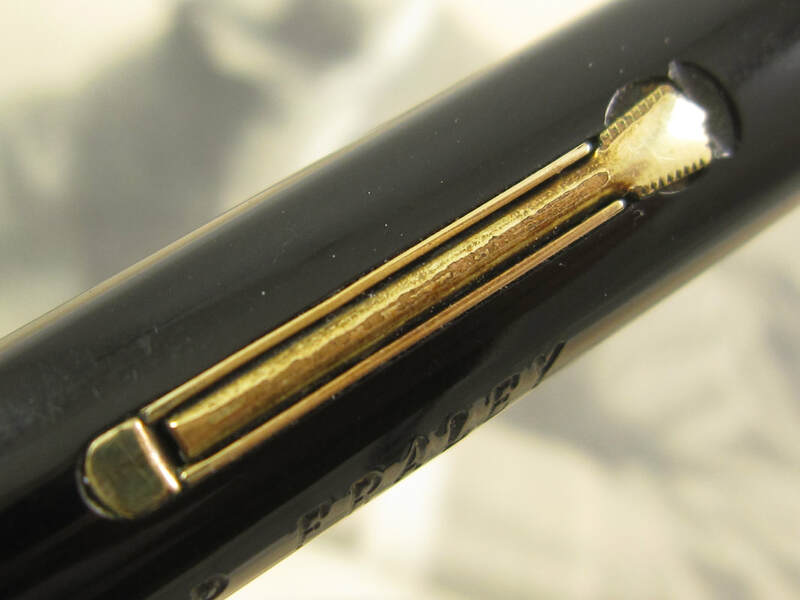 When flexed, this nib writes triple broad lines in the down strokes and fine lines in the side strokes. Professionally adjusted nib, ultra smooth, and capable of writing at nay speed when not flexed. Great barrel imprints. Great exterior with even colors with only minor discoloration. Very clean gold trim. The "R.R." initials have been monogramed on the cap's gold band. Very clean pen. Lever filler. New sac. Made in USA c.1930. 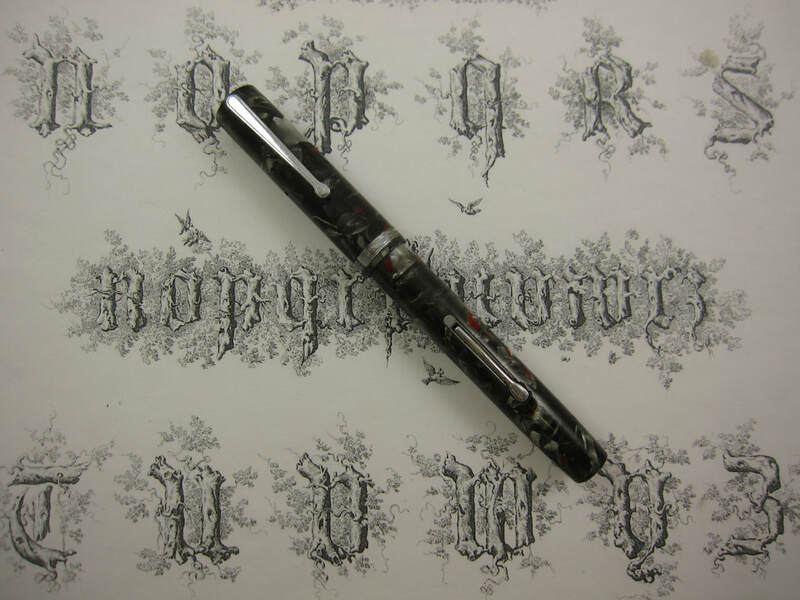 COMMENTS: Waterman 94 in "Steel Quartz" color, which is a marbled grey celluloid with red speckles. Chrome trim. 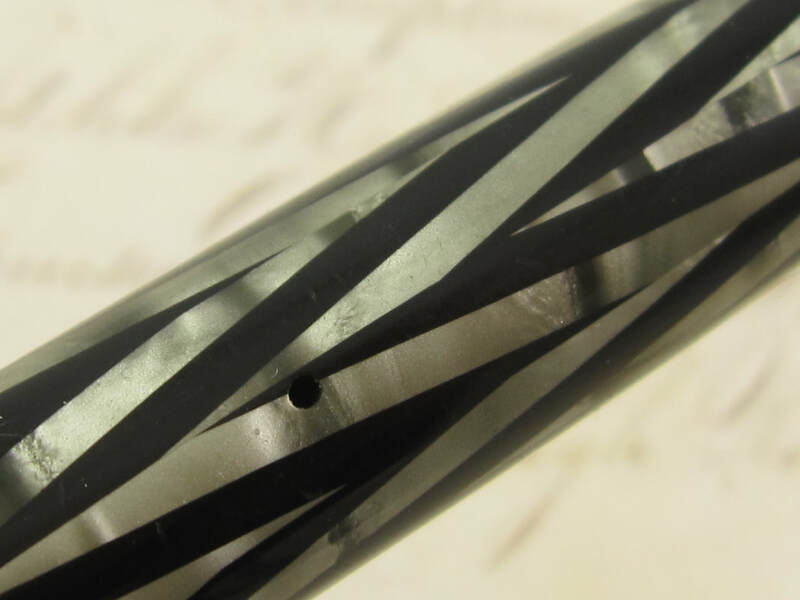 Fitted with a 14K Warranted 3-tine music nib, which happens to be a wet noodle nib. 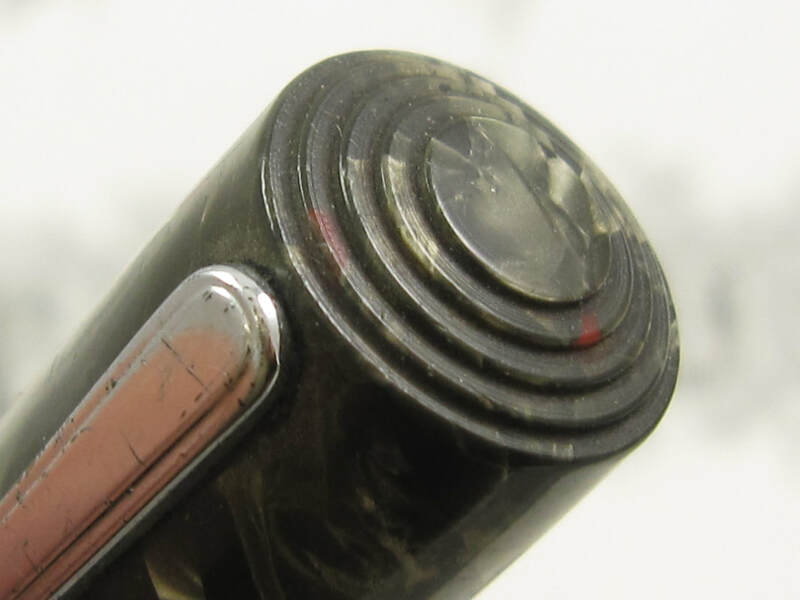 When not flexed, this nib produces BB lines in the down strokes and fine lines in the side strokes. When flex, this nib can produce up to BBBB lines (which are monster lines) in the down strokes and fine lines in the side strokes. Professionally adjusted nib, ultra smooth, capable of ultra thick (monster) lines, and also capable of writing at any speed when not flexed. 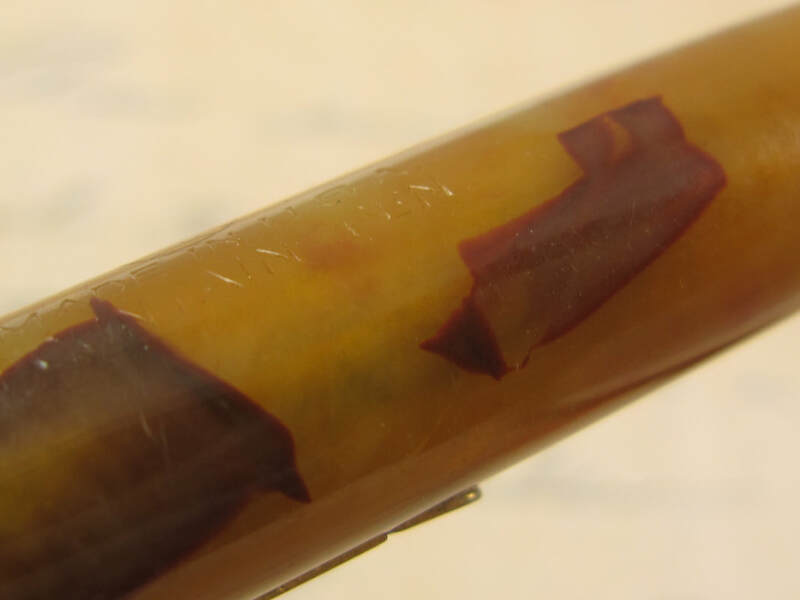 The celluloid in the pen is in great condition and has amazing colors. Perfect barrel imprints. Great threads. Some brassing on the chrome trim. Otherwise, this is an extremely clean pen. Lever filler. New sac. Made in USA in the 1930s. 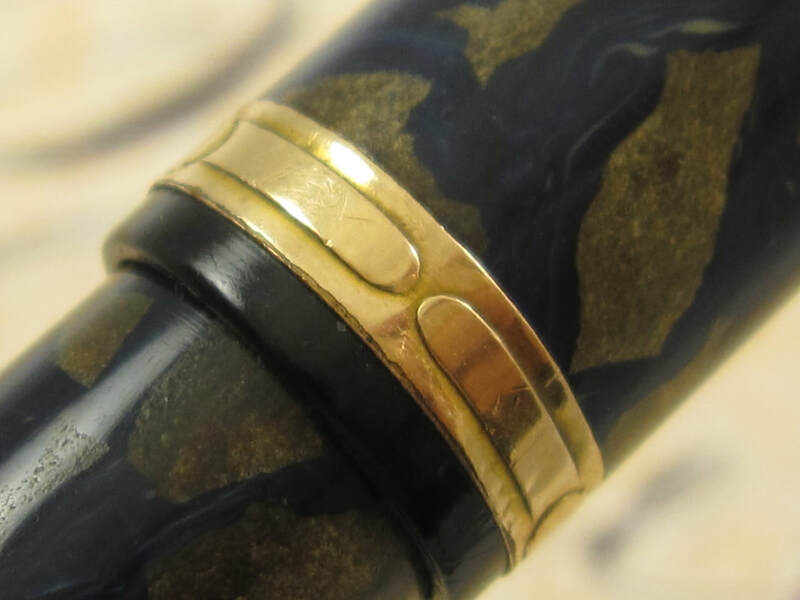 COMMENTS: Waterman Lady Patricia in Onyx color, which is a marbled cream celluloid with red veining. The cap lip, section and feed are in red hard rubber as well, and the correct ones for this model. Gold trim. 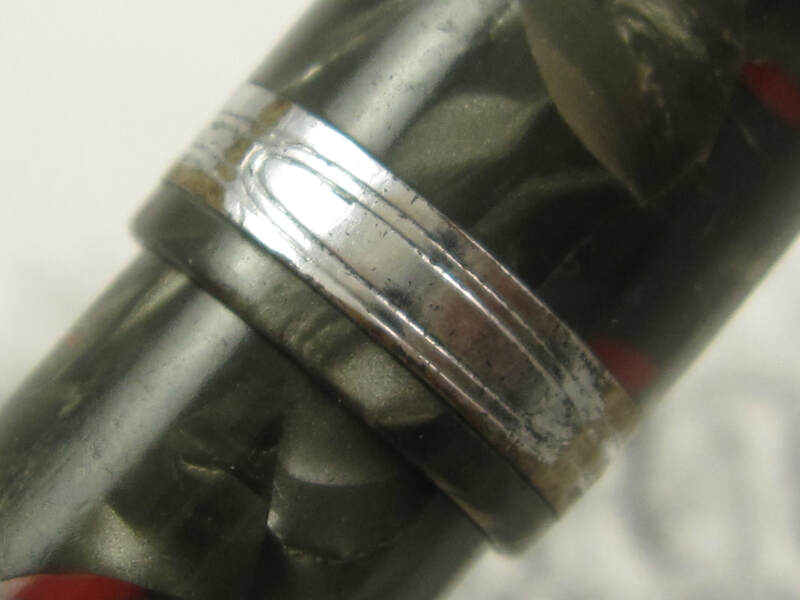 Fitted with a 14K Waterman Ideal #2 superflex nib (border line with a wet noodle) that writes an extra fine to double broad line (border line with a triple broad). Professionally adjusted nib, ultra smooth, capable of thin lines, and also capable of writing at any speed when not flexed. 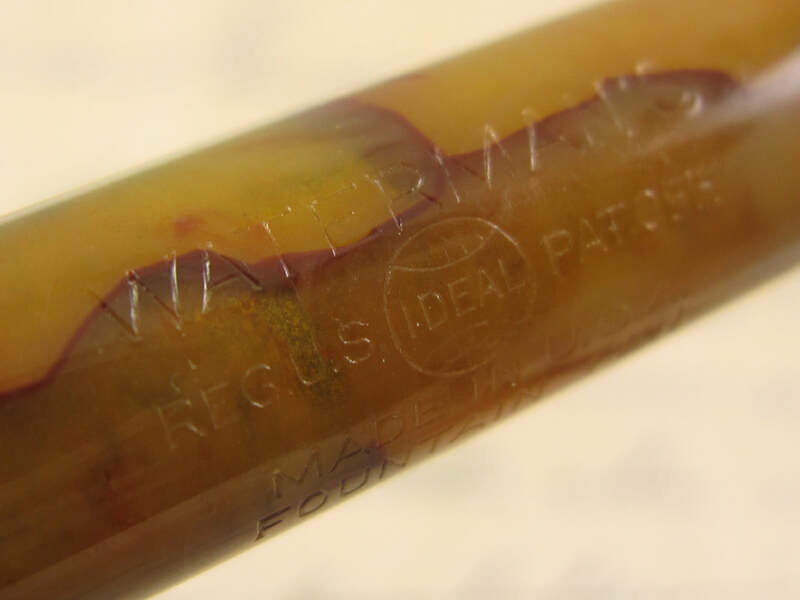 Celluloid has great color and great barrel imprints. Some light discoloration towards the center of the cap. 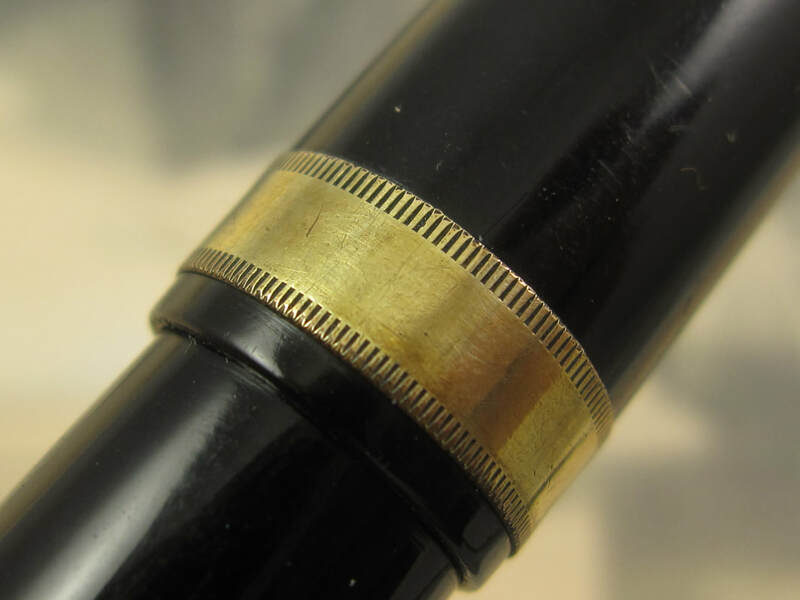 The gold trim is also in fantastic condition. Pen is 4 1/4" long (capped) and 5 3/8" long (posted). 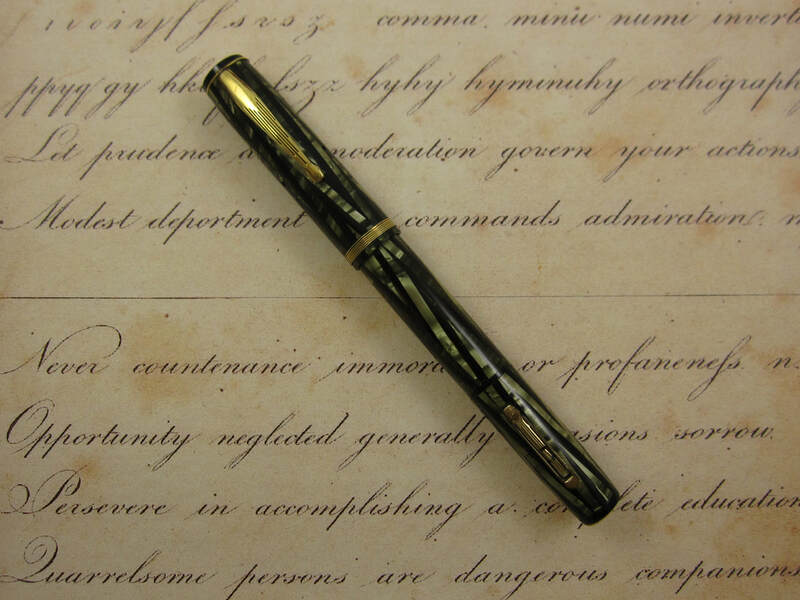 This pen was designed and manufactured to be used as a posted pen, offering great balance when posted. ​Lever filler pen. New sac. Pen box included with the pen. Hard shell type with tan colored top and cream colored base. Cream colored fabric inside the box. Box is in fantastic condition. Made in USA in the 1930s. 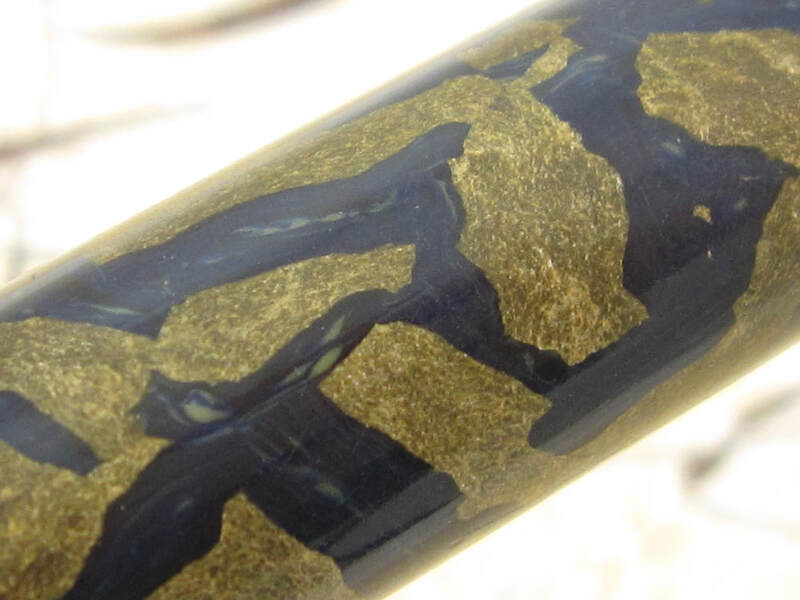 COMMENTS: Waterman Lady Patricia pen set in "Turquoise" color, which is a marbled blue and bronze celluloid color, and the most beautiful celluloid color in the Lady Patricia series of pens. Gold trim. Wide gold band with art deco style on the cap lip. Fitted with its correct 14K Waterman Ideal #2 wet noodle nib that writes a fine to triple broad line. Professionally adjusted nib, ultra smooth, and capable of writing at any speed when not flexed. 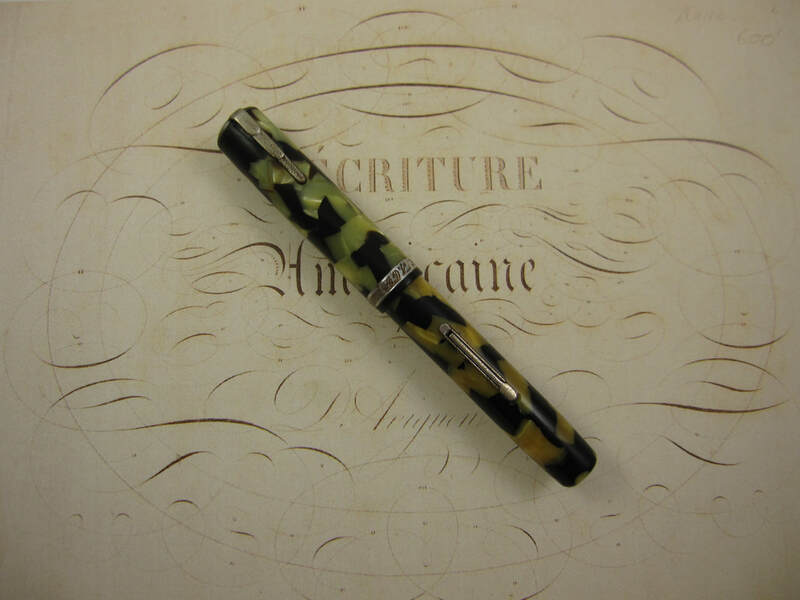 The celluloid is in phenomenal condition and has amazing colors, which are the focal point of this pen. Gold trim is very clean as well. Great barrel imprints. Great threads. This pen was purposely designed to be used as a posted pen, becoming a full sized pen and offering perfect balance when posted. Pen measures 4 1/4" long (capped) and 5 1/4" long (posted). Lever filler. New sac. Made in USA in the 1930s. 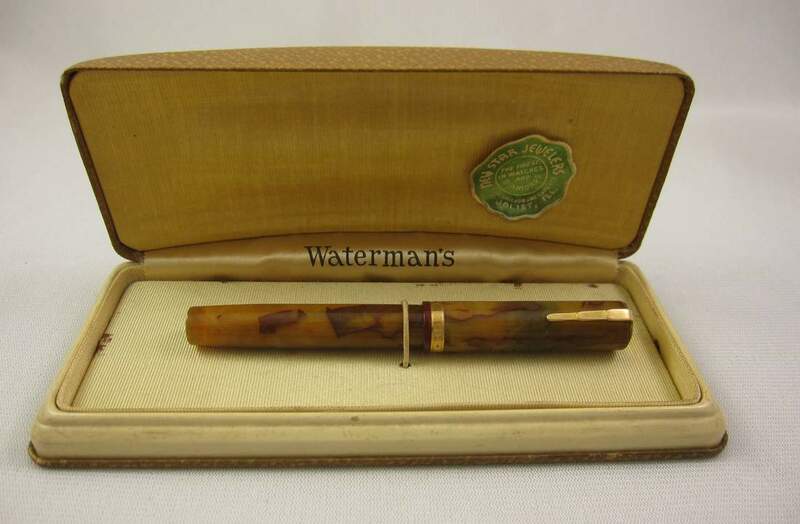 COMMENTS: Waterman 3V pen in marbled brown and grey celluloid with chrome trim. 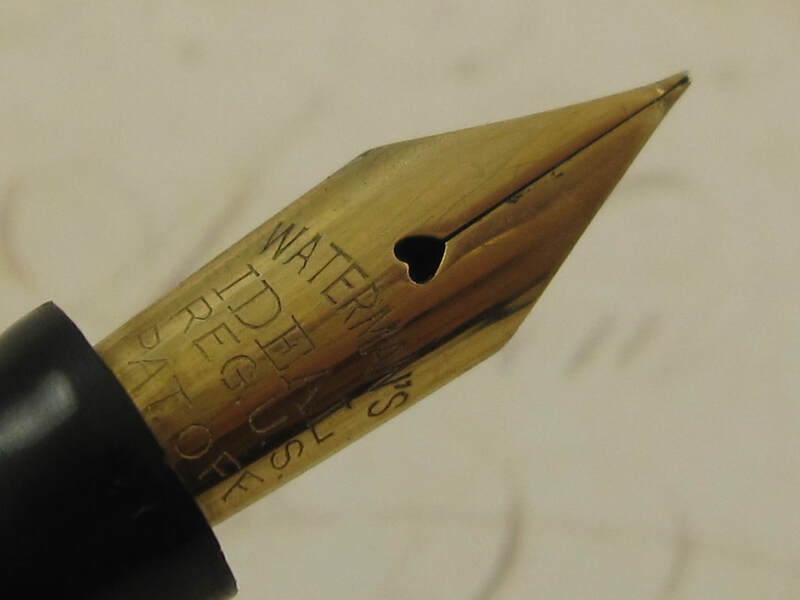 Fitted with a very interesting and uncommon nib: 14K Waterman Ideal #2 Broad Stub (border line with a BB Stub) that is also a wet noodle that writes broad to triple broad vertical lines (in the down strokes) and fine horizontal lines (in the side strokes). 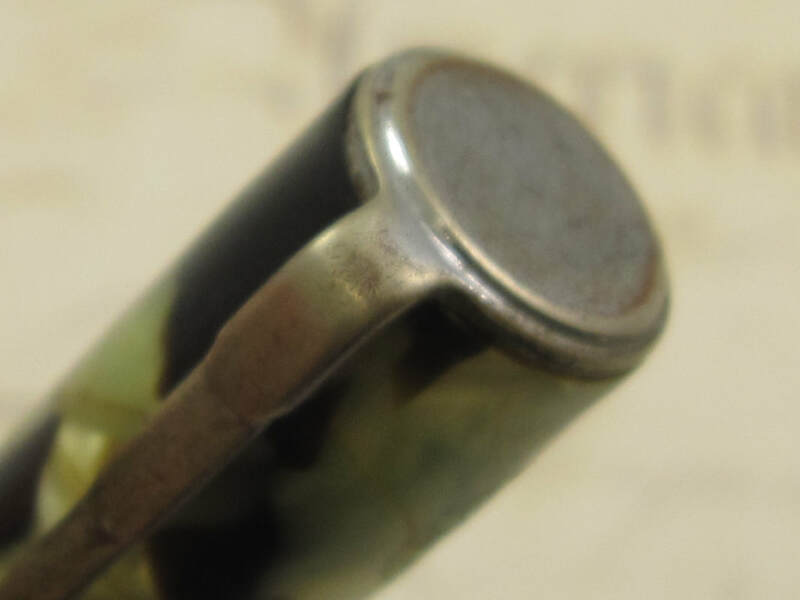 The edges of the tipping in this nib are a little bit sharp, giving a feel of an almost cursive italic nib. Once the nib is kept in its sweet spot (like in all italic and oblique nibs), it offers a very smooth writing experience. Pen is 4 1/4" long (capped) and 5 3/8" long (posted). 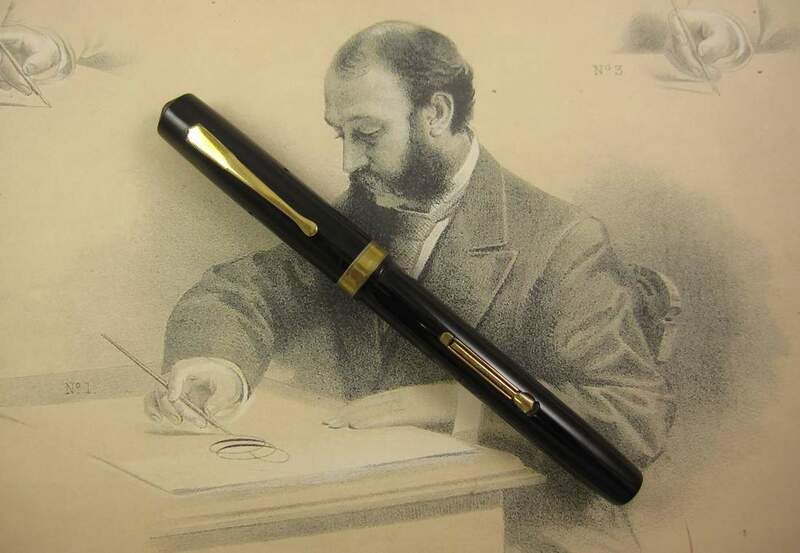 This pen was designed and manufactured to be used as a posted pen, offering great balance when posted. Light signs of wear and use throughout the pen. Great looking celluloid color. Great barrel imprints. Lever filler. New sac. Made in USA in the 1930s. 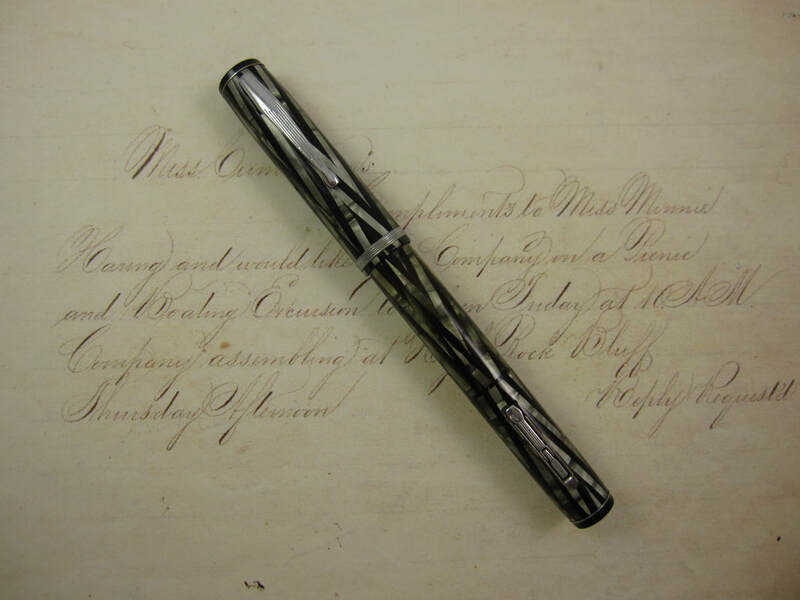 COMMENTS: Waterman Lady Patricia pen in "Nacre" color, which is a marbled black and cream celluloid with chrome trim. Fitted with a 14k Waterman Ideal #2 superflex nib that writes a fine to double broad nib. The tines in the nib are bent and misaligned. It writes, a little scratchier, but it can use some nib work and professional adjustments to become an ultra smooth writer. This pen is marked as a user grade as it has multiple issues. 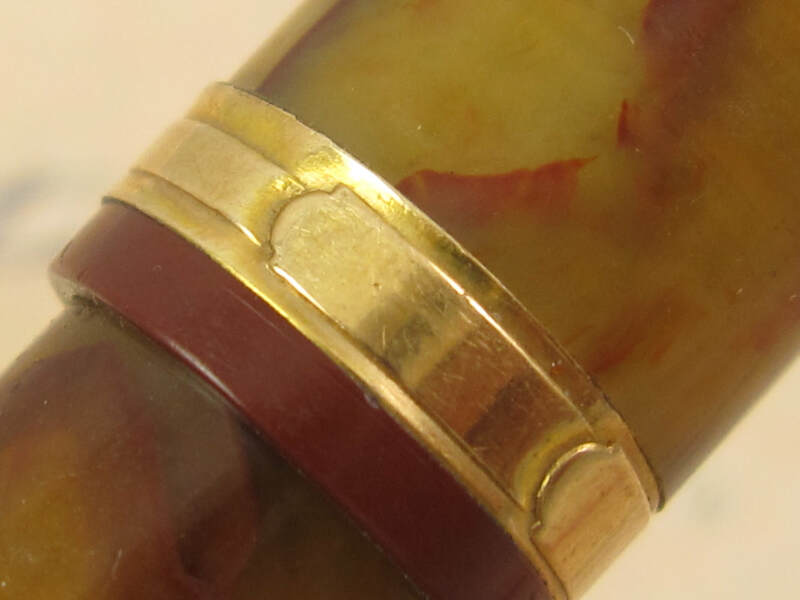 The celluloid color has discoloration and it shows crazing and hairline cracks. The chrome trim has some plating loss and brassing. 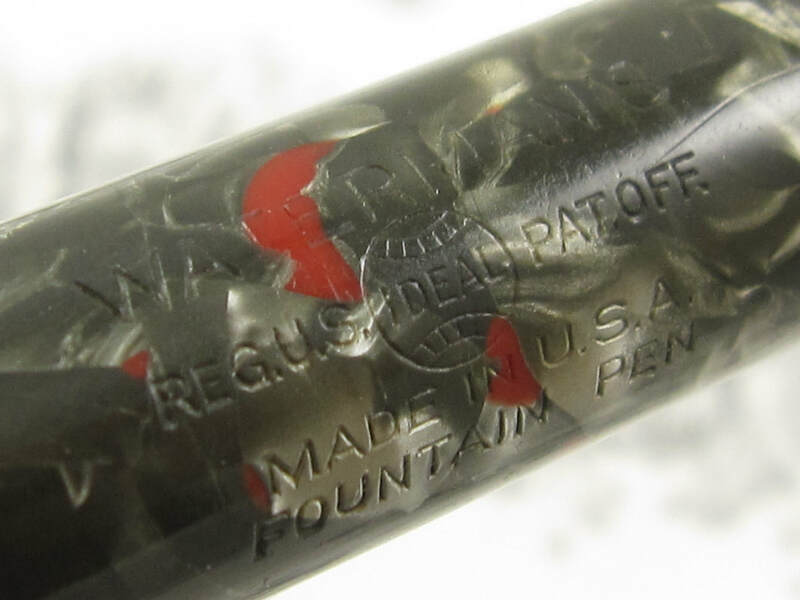 The flat end of the barrel has a small piece that has chipped off. 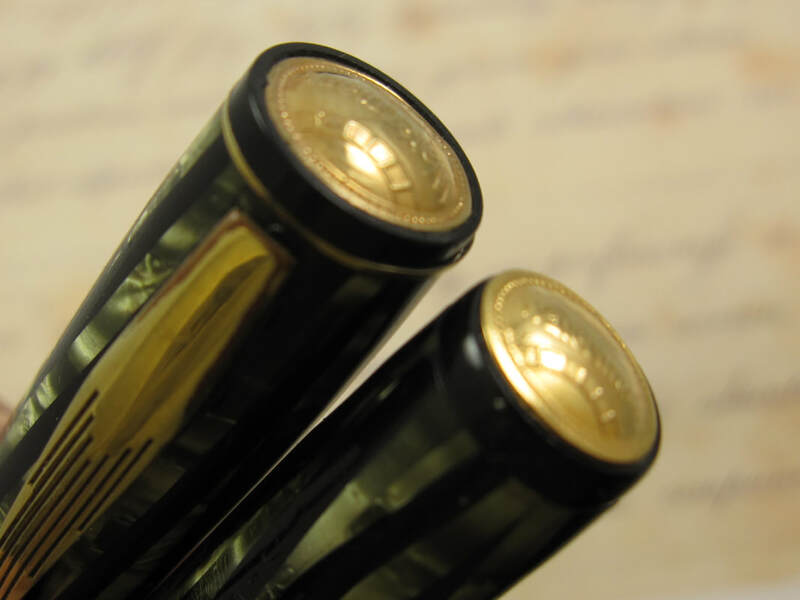 The value of the nib alone and the servicing of the pen exceeds the listing price of this pen offering. Priced accordingly and ideal for someone with a small budget. 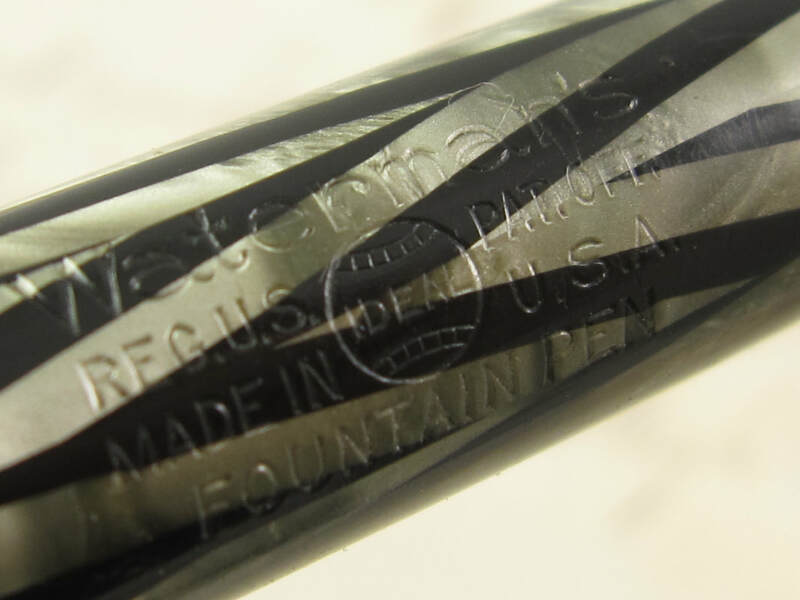 If you have reservations about buying a pen in user grade condition, please do not consider this pen listing. The pen has been serviced, cleaned inside and outside, a new rubber sac was installed and it is 100% operational at the moment. Pen measures 4 1/4" long (capped) and 5 1/4" long (posted). This pen was intentionally designed and manufactured to be used as a posted pen. When posted, if becomes a full sized pen and offers perfect balance. Lever filler. Made in USA in the 1930s.